Powered by positive energy, driven by member results. Working one-on-one creates an atmosphere of accountability between you and your personal trainer. 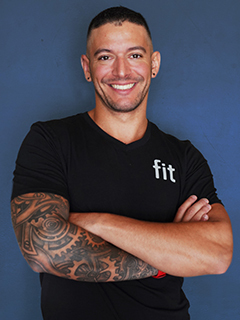 Fit personal trainers are very serious about designing your individual workout program based on your fitness assessment and goals. They take time to listen to you and understand your needs before your sessions begin. Our trainers are experts at pushing you to your limit so you can reach your optimal fitness level in a healthy amount of time. Exercise is medicine for the mind, body and spirit. 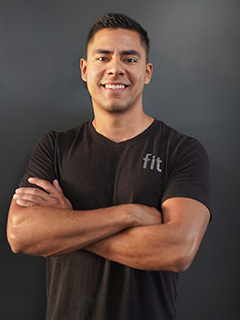 It is my passion to inspire, lead and coach others to incorporate exercise and proper nutrition into their daily lives, ultimately improving their quality of life. I create an enhanced personal connection with my clients and strive to understand the unique needs of each individual. My eternally positive attitude motivates clients to achieve their goals and believe in themselves. Taking that first step is the hardest part, so just do it! I’m here with you. 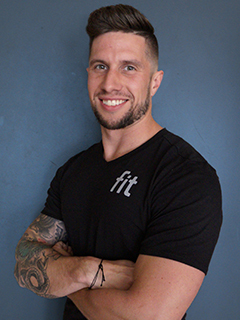 I’m passionate about educating clients so they feel confident on their own in the gym. I love showing people that they can do things they never thought possible. Small achievable goals and constant progression is the key to success. Training with a positive mindset is the only way to go. Everyone is unique and requires an integrated training program designed specifically for them. With Humans, I strongly believe in Inertia, “That which is at a stand still will remain there, that which is in motion will stay in motion.” So let’s get moving! The human body wascreated for movement; if you are notmoving, you are not living and if youare not living, you are slowly dying. With the right mindset and discipline you can achieve any goal you set for yourself. Over the years of playing sports I have learned to work hard and stay consistent with my health. I have endured injuries which have tested my mental strength. I have been the underdog more times than I can count. 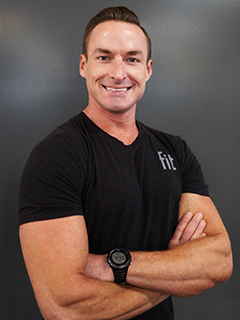 As a personal trainer, I have learned to apply my past experiences to my work. Becoming a trainer was the best investment for myself. I want my clients to feel confident and excited to be in the gym to train as much as I do. Stay humble, being patient, and respecting others; this is what I live by. “Never look down at anyone, unless it’s to help them back up”. My philosophy in fitness is strength with ease; making sure your body knows how to efficiently move and maximize performance. Having proper mobility and flexibility allows for greater ranges of motion, more power to be generated, great longevity of the joints, and an overall increase in quality of life. Core strength and stability not only prevents injury, but also looks fabulous! Circus Performance: Duo Trapeze, Static Trapeze, and Cyr Wheel. I believe that improving your quality of movement will improve your quality of life. The aim is to overcome self-doubt and a lack of confidence through proper movement and specific goal-oriented training. Let's find a way to become above-average. Progress awaits. Fitness has always been a part of my life. 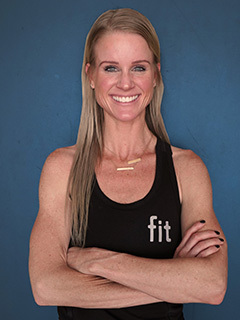 I grew up competitive swimming and since then have tried many different training styles from half marathons, crew, HIIT and plyo style training, bikram yoga, spinning and currently bodybuilding. I think it’s important to have a well rounded training program that includes a variety of different styles to challenge not only your body, but your mind as well. Fitness is just as much a mental challenge as it is physical. I want to teach you to view fitness in a positive light. My training style varies with each individual client based on their goals and needs. 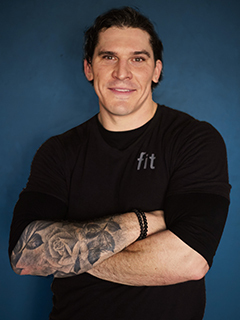 My goal as a trainer is to educate, support, motivate and inspire you on how to achieve your goals in a healthy manner by designing a custom program that is fun, challenging and sustainable. Everyone’s fitness journey is different. You should enjoy it! 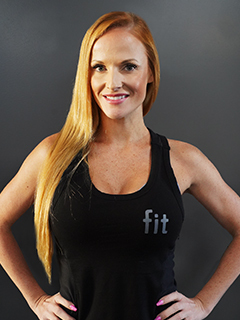 I want to make fitness and health a lifestyle for you and allow you to find that balance. We will work together to have the best version of yourself inside and out. 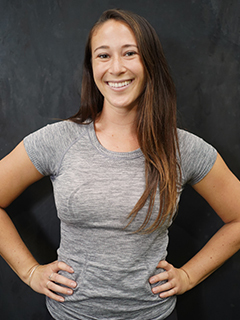 My training philosophy is to listen to the clients goals and thoroughly assess the clients biomechanics in order to create a highly individualized and effective exercise program. 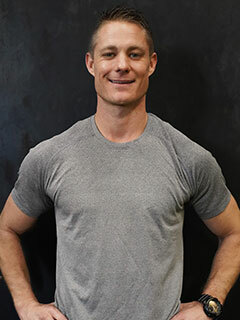 I train “from the inside out,” meaning that I try to bring the client into better alignment by working on imbalances and on the muscles that stabilize the core. I also like to train “from the bottom up,” creating a stable base with good balance. Fitness is more than just exercise, it’s a catalyst for positive change that can improve every aspect of your life! I find fulfillment in connecting with people and by helping to improve the quality of their lives. I originally chose a career in Marriage and Family Therapy for that very reason. What I found during my time as a therapist is that many people I worked with were in poor physical health, which coincided with their mental health. 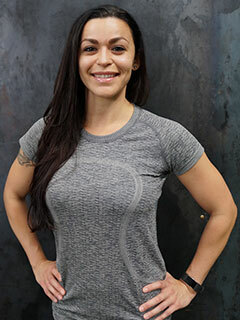 Ultimately, I felt that my skills were best utilized in a fitness training capacity enabling me to facilitate physical wellness that would affect both body and mind. I have been a personal trainer for almost 7 years. 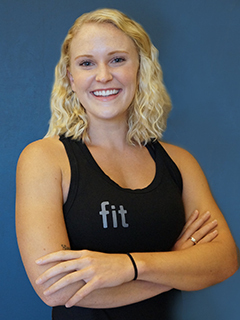 I began my fitness career in Washington DC at a bustling club where I specialized in weight loss and circuit training. Most recently, I was living in hometown of Worcester,MA where I coached athletes, from youth to semi-pro level, to improve performance and guide them towards a healthy lifestyle outside of their sport. I am a firm believer in enhancing one’s movement, not just becoming better at “exercise.” Enhancing the mind to muscle connection is just as important, if not more important, than adding weight to the bar. It is important to break out of your comfort zone when training. Your training should not only have you looking better and moving more weight in the gym, but should also open up new avenues of fitness outside of the gym whether its something as simple as playing with your kids or something a bit more extreme like one of those crazy warrior races!! Since I can remember, I've had a passion for self-discovery. I find an endless curiosity in the sincere development of human potential. My intention is to utilize my experience to guide those willing to undergo a complete lifestyle transformation. In dedicating myself to my clients wholeheartedly, I help them see real results and achieve what they had never thought possible. I believe in training both the mind and the body to set you up for success. With the right mindset and motivation, you can achieve your goals and beyond. The mental and emotional health improvements are just as important as the physical. It is important to train the body in a variety of ways. 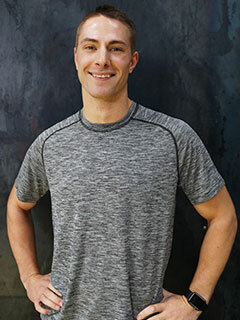 I will challenge you by utilizing different equipment and incorporating exercises you may have never done before to comprise a well rounded and fun program. As much as I am here to help support your fitness goals, I am also here to make exercise fun and sustainable. Together we can work hard to do whatever it takes to get you to your desired goals. Let’s get it! I focus on creating a supportive space to help others succeed through their journey and transformation. My training style is an integration of the mind, body and spirit at work to help you become the strongest version of YOU. I strive to help you find and implement balance into your life, as I wouldn’t be who I am without the many experiences I have been blessed with through the gifts of balance, transformation and improvement.